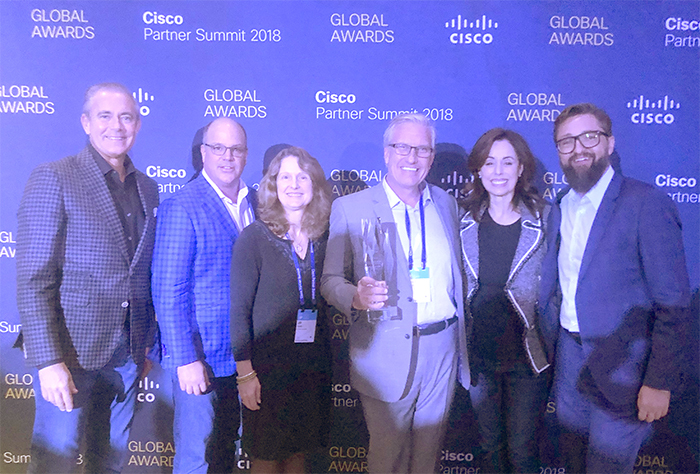 Cisco presented the awards during its annual partner conference taking place this week in Las Vegas. LaSalle was the first partner to receive three awards at once for the Central Region. The Cisco Partner Summit is attended by more than 2,100 global attendees from Cisco’s eco-system of partners representing more than 1,000 companies worldwide from more than 75 countries. LaSalle Solutions is a Cisco Lifecycle Advisor Partner and Cisco Gold Certified Partner with Cisco Master Specializations in Security and Collaboration. The company holds Cisco Advanced Specializations for Collaboration, Security, Data Center and more. In addition, LaSalle Solutions holds several Cisco Authorized Technology Provider (ATP) designations, including Application Centric Infrastructure, ServiceGrid, TelePresence Video Master and Identity Services Engine.